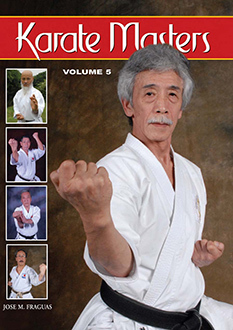 In this volume, including a special Foreword written by Teruyuki Okazaki Shihan, a repertoire of exclusive interviews with legendary figures of Shotokan Karate-do, such as Masatoshi Nakayama, Hidetaka Nishiyama, Taiji Kase, Tsutomu Ohshima, Osamu Ozawa, Keinosuke Enoeda, Tetsuhiko Asai and legendary masters like Teruyuki Okazaki, Hiroshi Shirai, Yoshiharu Osaka, Mikio Yahara, Hideo Ochi, Masaru Miura and Katsuhiro Tsuyama, amongst others, the many threads of traditional Shotokan karate learning, lore, and legend are woven together in a classic work. 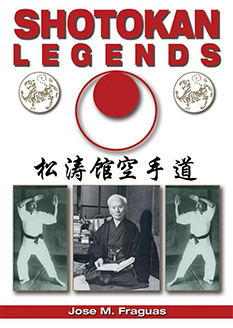 In this definitive book about the greatest Shotokan masters, old and new interviews have been gathered to present an integrated and complete view of the style and philosophy of the system developed by the late Grandmaster Gichin Funakoshi. 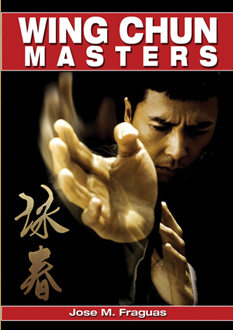 This volume contains intriguing thoughts, fascinating personal details, hidden histories, and inspiring philosophies, as each master reveals his true love for the art and a deep understanding of every facet associated with the practice and spirit of Shotokan Karate-do as a way of life.